No longer available are these brand new Tascam NAB adaptors. 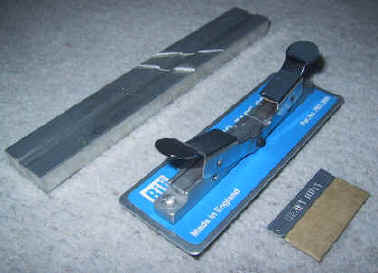 They are suitable for use with Revox and other 1/4 inch recorders. Construction is stronger than the Revox NAB adapter and they have a superior locking mechanism. Only available in pairs. The handy Wetekom energy meter, monitors and measures the power consumption and running costs of connected electrical appliances. Helps to save energy costs at only £9.99. More details of the Wetekom Energy Meter. The ground breaking Intelli-Plug is a plug-in adaptor which senses when a master appliance is switched on and automatically energises associated peripheral equipment. It is recommended by the Energy Saving Trust and has received excellent reviews. Cost is only £14.99. More details of the Intelliplug. We have new and secondhand accessories like splicing blocks, remote controls, varispeeds and head degaussers. We keep a good stock of single sided razor blades, splicing tape and empty spools for the creative recording enthusiast. This is a good 230 VAC tape head and guide demagnetiser for use on all reel to reel and cassette recorders, but unfortunately we are sold out. 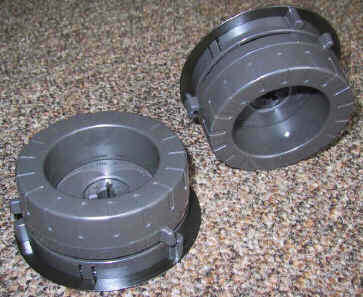 You may still find a head demagnetiser on eBay though. 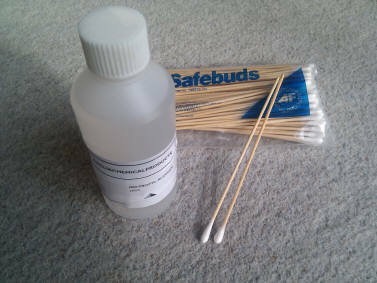 Tape head and guide cleaning kit with 250ml Isopropyl Alcohol and 100 wooden stick cotton buds No stock. Click "Add To Basket" button to order any item above, you can change quantity on the basket order form. Minimum total order £9.99. Standard carriage included in all prices shown.